Magic Dice is a transparent and provably fair dice game on Steem. If you haven't tried the game yet, go to https://magic-dice.com and give it a try. If you want more information about Magic Dice, read our introduction post. Since the start of the dividend distribution about a month ago, Magic Dice has distributed over 80k STEEM in dividends. With the distributed referral rewards of over 40k STEEM, Magic Dice has distributed over 120k STEEM to its users! If you want to receive some rewards as well, refer some new users or start earning tokens by playing or delegating to Magic Dice. If you need more information, go to https://magic-dice.com/referral and https://magic-dice.com/dividends. The new leaderboard on Magic Dice tracks the total amount wagered by player every day and ranks them accordingly. Every day players can win 5 million MAGIC tokens. The top 15 players will be rewarded with MAGIC tokens. The leaderboard is a great way to keep things more exciting and create a competition between players. It is a great way for players to accumulate more tokens as well. We have updated the token distribution. The old token distribution halving rate was too high. New players would only get very few tokens compared to other players before them. Especially after the next few halvings. The timing for the halving was confusing for some players as well. That's why we simplified it. The distribution rate for the tokens will be halved after 10% of the player supply has been issued. So far 23.6% of the player supply have been issued. That means the new distribution will be 50 MAGIC per every STEEM wagered (We use the same start distribution of 200 MAGIC). After 30% have been distributed, the rate will be 25 MAGIC. After 40% have been distributed, the rate will be 12.5 MAGIC. We believe that distribution rate is more fair for everyone and new players will have a higher incentive to play. The next big update will be a new game. So far we focused our development on creating a great dice game that is fair, transparent and fun to play. If you want some extra features or have some ideas to improve Magic Dice, leave a comment. We did some research and testing for new gambling games. The plan for now is to release a lottery or a crash game. If you have some requests for other games, leave a comment or contact us on our Discord server. Everyone who resteems this post can win 300 STEEM and 500000 MAGIC. You need at least 300 followers to receive the reward . Every resteem with more than 300 followers will receive 10000 MAGIC for free! The rewards will be distributed in 7 days. Play responsible and don't overindulge. Don't play with more than you can afford to lose. If you have some questions, join our Discord channel or leave a comment. Resteem this post and follow us on Steem to support Magic Dice. Magic Dice has rewarded your post with a 77% upvote. Thanks for playing Magic Dice. Magic Dice has rewarded your post with a 81% upvote. Thanks for playing Magic Dice. This has been a fun ride I went into it only to accumulate tokens , turns out I went on a run . I greatful for what I ended up with so far . I cashed out my profits . I am greatfull that I will always be in the top 350 magic token holders all time. I will play but very small from now on below is my stats . Thanks Again @magicdice for a Provably Fair Game! Steem On To the Magic Moon! You are currently delegating 1499.9999850993227 Steem Power. You have placed 6,869 bets with a 76.12% win rate. You have wagered 309,979.614000 STEEM and 3,006.769000 SBD. You have won 313,792.900000 STEEM and 3,084.021000 SBD. Your profit is 3,813.286000 STEEM and 77.252000 SBD. You received 130.733738 STEEM and 0.502779 SBD in dividends. You have acquired 12,745,673.633226 Magic Tokens. Your spent per 1M Magic Tokens: -299.183000 STEEM and -6.061000 SBD. Magic Dice has rewarded your post with a 36% upvote. Thanks for playing Magic Dice. They are the best gaming team I have ever met! I am pleased to work with you, they are reliable and transparent. I openly recommend this game to all users of the Steemit.com platform, it is my favorite. RESTEEM DONE !! This is great game i play when i get a free time . Main thing i like is transparency of this game . If any good game is transparent then users will not face any issue. If you will launch new game i play it too. Happy playing and earning and joying of things . This is a cool concept. 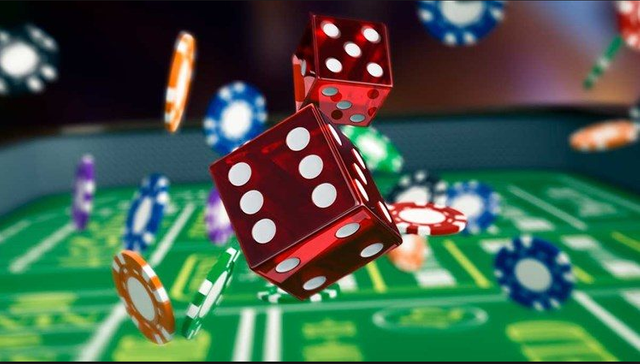 If everyone found out they could roll the dice while only giving up 1% edge, Vegas would lose some customers. Great updates and continued development. You guys have a stellar team that just keeps delivering. Resteemed! I have shared this with my followers. I hope some take a look. This project is a great example of a strong dapp that gives users one more thing they can do with steem. Great updates. Good job guys. In my opinion this is wrong to do but, others on the platform will be the judge. You kept the token cap the same but you basically diluted the Magic tokens already earned by previous players. I can no longer invest or delegate to your game because of this. I played your game hard from 25-12.5 token distribution to earn tokens for the future of this game and now players can earn 50 per steem bet with less than half the risk in bets i made? then you just give away tokens to people on the leader board which devalues my tokens even more? And them...you give away millions more tokens just if people re-steem this post? man you really threw some chum out into the water here in my opinion. I can not believe people are re-steeming this thinking it's a good thing for Steem and a good thing for honesty and transparency. bye bye.....magic dice.....fool me once shame on you....fool me twice shame on me! Video coming about this today. Agree 100%. They should make right on this. 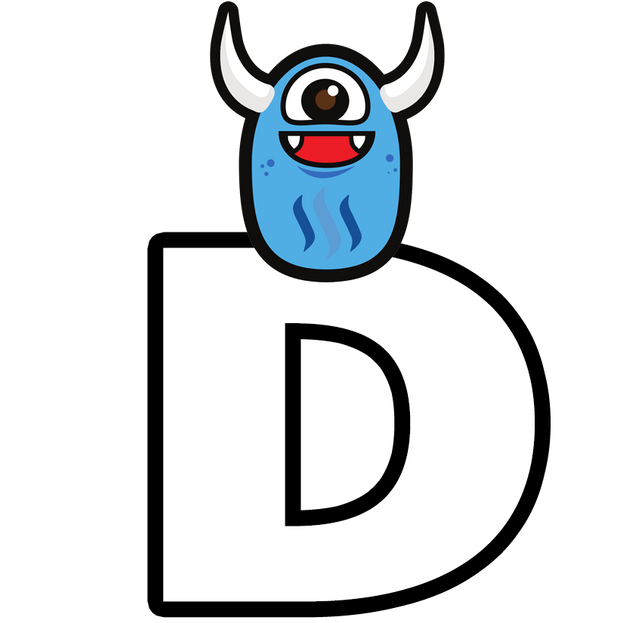 Love the game and think it deserves to be up there on the top list of DApps. Many of us played early on with the assumption that MAGIC would always be harder to earn in the future. Now we find out that MAGIC is in fact easier to earn than when we began. I “lost” well over 400 STEEM playing the game but always considered it an investment in MAGIC — I’ve earned almost 15% of that back at this point, but who knows what will happen now. I played your game hard from 25-12.5 token distribution to earn tokens for the future of this game and now players can earn 50 per steem bet with less than half the risk in bets i made? I agree with you... I'm a small account and I've played hard too. Obviously not as hard as many others, but hard for being a red fish/minnow like me. I think about 40% of my account has been invested in Magic Dice in an attempt to collect as much MAGIC Tokens as I possibly can. I have a total of 752325.1 MAGIC Tokens. On top of that, they implement a leaderboard that only allows the really big players to accumulate even more MAGIC Tokens. Yet another of those "make the rich more wealthier" type of things. I really saw potential in this, especially with the MAGIC Tokens. I have already been able to earn daily dividends from it, but this update makes everything worse. Now, it feels like everything I have done was a total waste. My 700K+ Tokens could've been more than 1 million if I knew about this from the start. That might not be a huge difference for some, but for someone like me, it's an insane change. I'm glad @magicdice are working to improve the site and all, but this update felt really bad. Reading this is like having a splinter in my eye. im posting a video about this tonight. What makes this even worse, is that I almost resteemed this because it would give me more Tokens... Sigh. I wouldn't mind a chance to win 300 Steem and 500K Tokens... But on the other hand, I wouldn't mind getting those 50 tokens per steem bet for all my bets either. I feel deceived. I would've had 50,000-100K more tokens if I just waited until today instead of playing ~3 days ago. I guess that's why you call it "gambling". You have placed 4,956 bets with a 10.53% win rate. You have wagered 29,671.206000 STEEM and 110.184000 SBD. You have won 28,285.042000 STEEM and 96.228000 SBD. Your profit is -1,386.164000 STEEM and -13.956000 SBD. You received 59.578170 STEEM and 0.290647 SBD in dividends. You have acquired 758,728.363948 Magic Tokens. Your spent per 1M Magic Tokens: 1,826.958000 STEEM and 18.394000 SBD. I will never resteem anything......even if it benefits me.....it it’s wrong to do. I have a video uploading right now about this exact conversation and what Magic Dice has done to SMT investors. I am done playing here now, I must look for a better game with more fair developers. I will keep my watered down stake of the SMT and give them no more action or free press on my channel. The game is fair and not crooked but what they did to magic token holders is flat wrong. I have even been a winner. You were referred to Magic Dice by mehta and have 4 referrals. You have placed 1,294 bets with a 51.78% win rate. You have wagered 65,497.261000 STEEM and 0.000000 SBD. You have won 70,388.781000 STEEM and 0.000000 SBD. Your profit is 4,891.520000 STEEM and 0.000000 SBD. You received 5.147346 STEEM and 0.209080 SBD in referral bonuses. You received 104.606965 STEEM and 0.469812 SBD in dividends. You have acquired 1,770,827.110193 Magic Tokens. Your spent per 1M Magic Tokens: -2,762.280000 STEEM and 0.000000 SBD. How did you beat the house edge @broncnutz? What is total win/loss for players? You can get on the leaderboard just as easily as a human. There would be only a slight advantage if you want to rank in the top spots with multiple accounts. You can do that as a human player as well. The rewards for the leaderboard are setup in a way that the most tokens are distributed to the top 5 spots. If some player decides to use multiple accounts to rank in the top spots, then he has generated the most volume and has earned those tokens. You were referred to Magic Dice by None and have 4 referrals. You have placed 14,628 bets with a 44.29% win rate. You have wagered 7,454.846000 STEEM and 415.902000 SBD. You have won 7,759.623000 STEEM and 382.672000 SBD. Your profit is 304.777000 STEEM and -33.230000 SBD. You received 21.823956 STEEM and 0.996682 SBD in referral bonuses. You received 14.109979 STEEM and 0.069079 SBD in dividends. You have acquired 223,504.772938 Magic Tokens. Your spent per 1M Magic Tokens: -1,363.627000 STEEM and 148.678000 SBD. "Just like you can't distinguish if a user on Steem is a bot/human/dog :)"
Bots are great for magic token holders. Bot's betting is valid and MD would be more than welcome for such bets. I agree it's valid to mine and win, it's just not really making sense to include them on a leaderboard with humans. The only way to compete is with another bot. Is it a leaderboard for bots or for humans? Also they are talking about fairness. The problem it, there is no way to tell whether the bet is come from real human or bot. Even if you can, the house has zero reason to block such automated betting since the volume is all they wanted. Totally agree. It'll be the same handful of accounts at the top spots everyday... what's the point of that??? They're already earning lots of tokens from their volume already. Like last time, I am not going to miss this time...Resteem at first,👍 @magicdice is probably the most sought games where everyone is taking their chances to win token and Steem....unluckily I lose in my first bet when I didn't recognise its power. ....anyway...I always wish you to grow ..
What does can win mean? Are 5 Million tokens distributed every day between the top 15 players or Do they need to get lucky? I like this game, it is entertaining and transparent, I wait for updates, I am sure that this project will continue to expand and reaping success. You are doing a great job! Thanks! Resteem. Best regards! Resteemed for the Free 10000 MAGIC Tokens. I saw you mentioned the change in MAGIC Token distribution where if I wager 1 STEEM I get 50 MAGIC Tokens instead of 25 but what about Delegation is it the same or has it been changed. @magicdice please do reply. You can read it right on their website. 100 delegated is 200 tokens per day. Magicdice is the best gambling site out there for Steem. Ok, so they changed that too. Thanks for that I will be delegating as soon as possible. Glad to hear that your team is coming out with a new game. More frequent updates I hope. Resteemed. 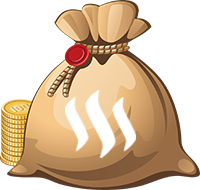 if I resteem your article — do I earn 500,000 Magic/300 Steem OR 10,000 Magic??? one person will win the steem and 500,000 magic . rest will get 10k magic tokens if you have 300+ followers. 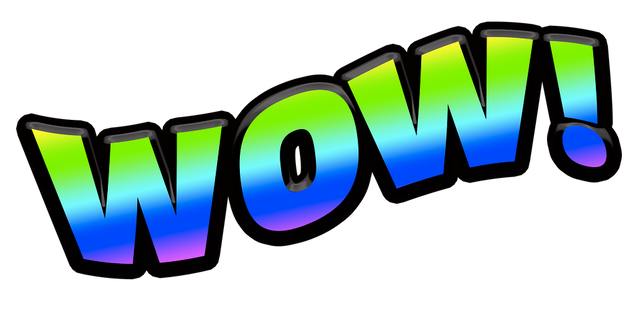 I just Resteemed your post and I have over 300 Followers. Waiting for the 10K Magic tokens! If you are not "Exit Scamming" then you need to lower leader board pay outs drastically. Add a new game that also earns MT. Crash or lotto doesn't matter. Make the ability to pay out MT perpetual (forever) ... when MT is a token that can be wagered the house edge will "earn" some of those tokens back. When the payout of MT per Steem wagered is lower after a few more halvings then you will always have MT to award!!! VS. the current model of pulling 50k Steem out often. I have a couple more ideas that might help also but these are the big ones. I look forward to the introduction of new games. You should add a Heads Up Limit Holdem Bot. Many casinos in Vegas have these. The bot randomly switches between personalities to make the game fun and unpredictable. This would attract many more players to your app. Changing the distribution rate was shady as hell! I played alot early on because of the halving. I'll be honest, which probably means I won't get an upvote...but the prizes for the leader board are WAY to much. Why not spread that out to more players and make it a little less "rich get richer"? Resteemed to add exposure so people know what is happening with the game. Still feel apps like this are a huge boost to steem...even if I'm not so sure about the current changes. Oh and I'd love to see blackjack and should be simple to program. Not sure how it would work online, but craps is whole lot of fun. You have placed 103 bets with a 49.51% win rate. You have wagered 3,873.365000 STEEM and 0.000000 SBD. You have won 3,892.804000 STEEM and 0.000000 SBD. Your profit is 19.439000 STEEM and 0.000000 SBD. You received 3.163556 STEEM and 0.008480 SBD in dividends. You have acquired 174,629.562483 Magic Tokens. Your spent per 1M Magic Tokens: -111.314000 STEEM and 0.000000 SBD. I love magic-dice, It is too addictive, but I enjoy it very much. You have placed 97 bets with a 59.79% win rate. You have wagered 303.601000 STEEM and 0.000000 SBD. You have won 312.845000 STEEM and 0.000000 SBD. Your profit is 9.244000 STEEM and 0.000000 SBD. You received 0.182510 STEEM and 0.000000 SBD in dividends. You have acquired 7,576.100000 Magic Tokens. Your spent per 1M Magic Tokens: -1,220.153000 STEEM and 0.000000 SBD. You have placed 139 bets with a 58.99% win rate. You have wagered 440.391000 STEEM and 0.000000 SBD. You have won 485.619000 STEEM and 0.000000 SBD. Your profit is 45.228000 STEEM and 0.000000 SBD. You have acquired 14,415.600000 Magic Tokens. Your spent per 1M Magic Tokens: -3,137.434000 STEEM and 0.000000 SBD. Resteemed! All great updates! @magicdice is here for the long haul! I believe a crush game will have a great great success. You were referred to Magic Dice by ipromote and have 0 referrals. You have placed 42,799 bets with a 44.08% win rate. You have wagered 58,032.928000 STEEM and 0.000000 SBD. You have won 60,312.790000 STEEM and 0.000000 SBD. Your profit is 2,279.862000 STEEM and 0.000000 SBD. You received 11.227638 STEEM and 0.067543 SBD in dividends. You have acquired 1,172,887.025000 Magic Tokens. Your spent per 1M Magic Tokens: -1,943.804000 STEEM and 0.000000 SBD. Hi! Is magicdice a dapp on steem blockchain?? Your leaderboard prizepool is really unbalanced. Don't you want to spread your tokens as much as possible? Then why does the first one get 1.75 million tokens while rank 15 only gets 50k? Pls do first place 500k and spread the other 1.25 million among the top 30. I agree with this. Let the distribution be deeper into the ranks. This will encourage more users to wager more. Even if you distribute 5m tokens among the top 50, there will be ~80 people vying for that top tier spot instead of ~25. I’m glad to see continued developmental this project! Keep it going. In a way I agree that it’s kind of silly to have a leaderboard when we all know only bot players are going to be ranked on it. They are already awarded the highest share of the tokens against those of us who don’t have the skill to create our own bot. But, on the other hand those bots are creating most of the reward pool for token holders as well. not true, i dont run a bot - its all down to bet style and how much steem you wager. Fair enough. Congrats on the top spot. Looking good. Excited to see what's to come! More games, could bring more players. I would like you to please, please vote more. I know you do vote for your users at times, but I have checked your power a few times and it is always very high. You should do 10 100% votes each day for max benefit. Of course you will not vote at 100% and you could really do some good for a lot of us little guys if you do more voting. And you will get a lot more curation rewards for yourself too. Please set up a script or whatever to vote for your users more since it costs you nothing and will really help us. Love you guys, and glad to resteem! Wow, 10000 mt for free? Resteemed to my followers!